Ever hear of Jose Vicente Feliz? Ever wonder who Alvarado, Pico, or Van Nuys were? 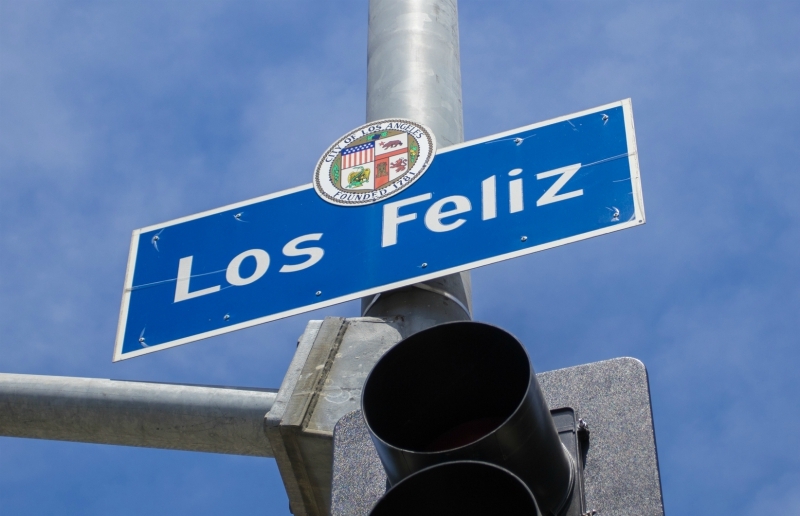 They are names Angelenos see every day—Pico, Feliz, Van Nuys…the list goes on. We see the names on street signs, maps, theaters, and courthouses, yet we tend to know little about the people behind the names. 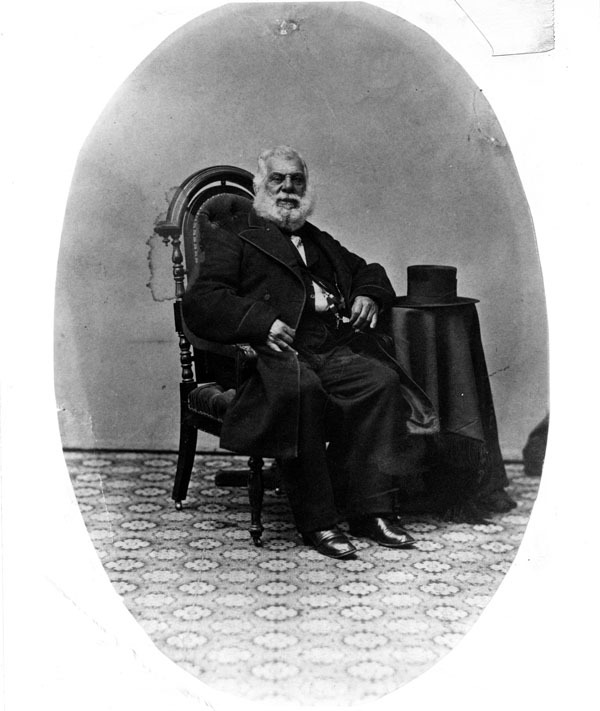 Likely of Afro-Mexican descent, Pio Pico was born at the Mission San Gabriel Archangel in 1801. He quickly amassed a fortune, and became a powerful politician in Mexican-controlled California and a leading force in the secularization of the California mission system. 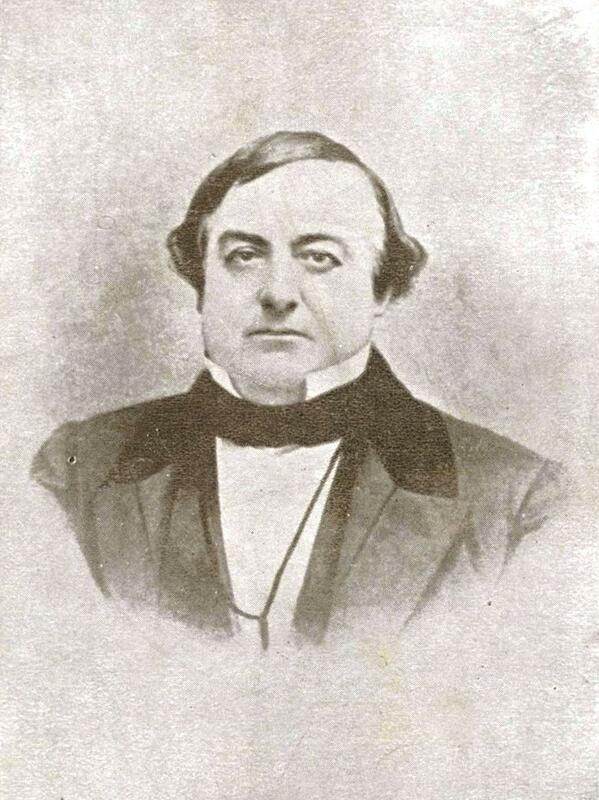 In 1845, Pico was named (the last) governor of Alta California. He ran the territory from his office on the Plaza in Los Angeles. After California became an American state, Pico became an extremely wealthy private citizen, building Pico House, the first fine hotel in Los Angeles. Legendarily generous and lavish, he had lost most of his money by his death in 1894. 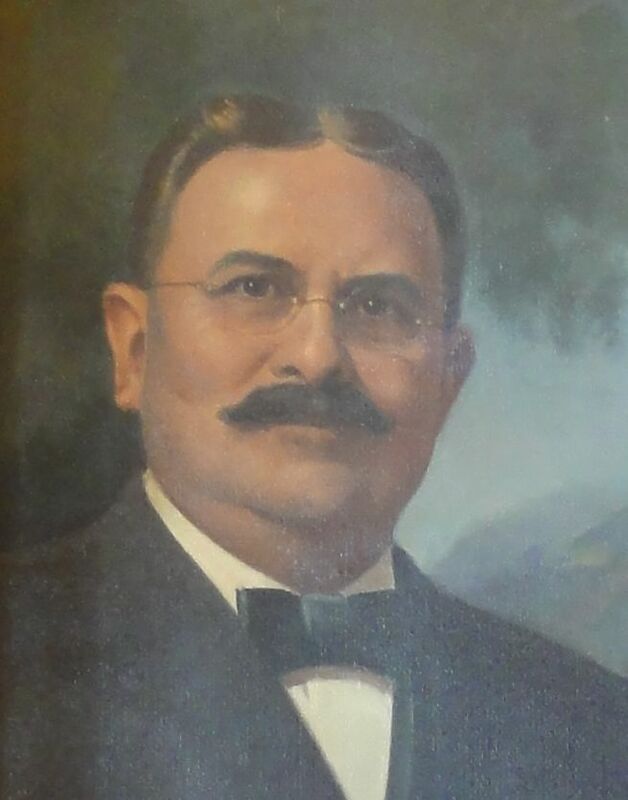 After a tumultuous posthumous journey (especially for his wife, Maria, whose grave was raided by a jewel thief), Pico was buried in the small graveyard of the Workman and Temple Family Homestead Museum in the City of Industry. The daughter of a New York banker, the twice-divorced Audrey married Jack Skirball in 1947. Jack had been a rabbi before becoming a film producer, and the couple were passionate about the arts and the Reform tradition of the Jewish faith. 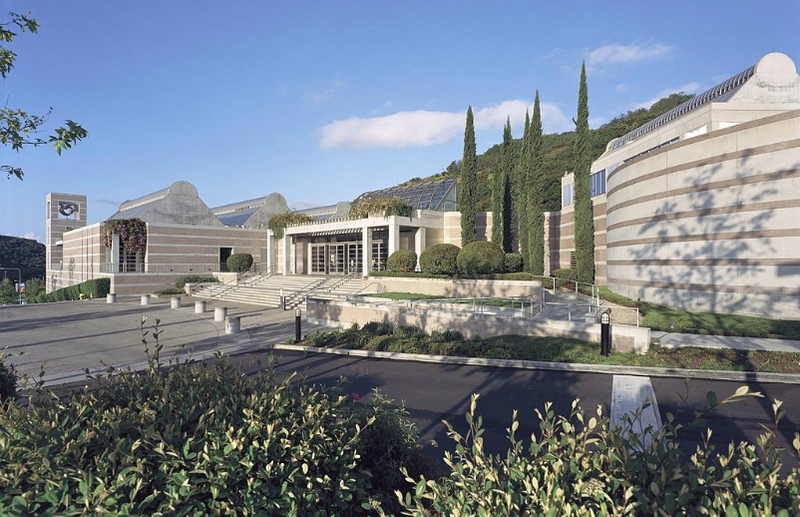 The two donated millions to philanthropic causes, their grandest project being the Skirball Cultural Center in the hills above Brentwood. After Jack’s death in 1985, the effervescent, “elegantly bold” Audrey remarried and continued her charitable endeavors. “She had a verve and an imagination that were astounding,” one colleague recalled. A great lover of theater, Audrey underwrote many important theatrical works, including Angels in America and Top Dog/Underdog. She also loved horse racing and owned an impressive stable. She died in 2002. According to a 1924 article in the Los Angeles Times, Alvarado Street commemorates two different men. The first is Juan Bautista Alvarado, the Californio governor of Alta California from 1837 to 1842. He had taken control of the government during a self-led coup in 1836. A vehement rival of Pio Pico, the two men reconciled during the Mexican-American War. After the war, he retired from public life, writing and investing in the family estate of his wife, Martina. The other man the street honors is Pedro de Alvarado, a 16th century Spanish conquistador and the first mayor of what is now Mexico City. He was also governor of much of Central America and also probably a war criminal. Fun! Born in 1859 in Germany, Jensen immigrated to America as a young man and was in Los Angeles by the 1880s, when he established a brickyard on Westmoreland Boulevard. 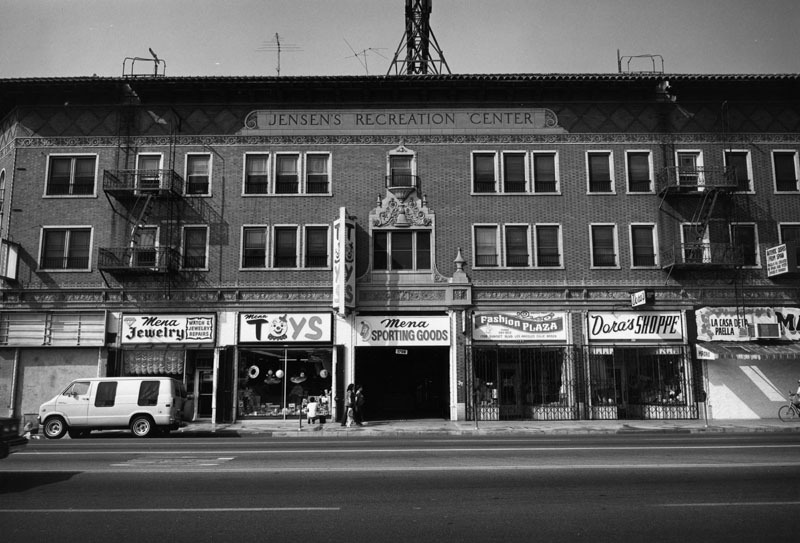 He soon became a builder and developer, subdividing neighborhoods including Harvard Heights, and constructing graceful homes, movie theaters, markets, and the iconic Jensen’s Rec Center in Echo Park. Jensen seems to have been a rather rough, hard-nosed character. His life was filled with family strife and lawsuits alleging business improprieties, but many of his buildings have stood the test of time. As the wife of Norman Chandler, third publisher of the Los Angeles Times, Dorothy—known as “Buff” to her friends—was assured a top spot in L.A. high society. But it was her love for the arts and her commitment to cultural accessibility and literacy that made her a legend. “Has any one woman ever made so much happen in the city? I don’t think so,” Diane Disney Miller once said of the passionate, tenacious, tough-as-nails Dorothy, who once tore up a millionaire’s charitable donation check in front of him because she felt it was not enough money. 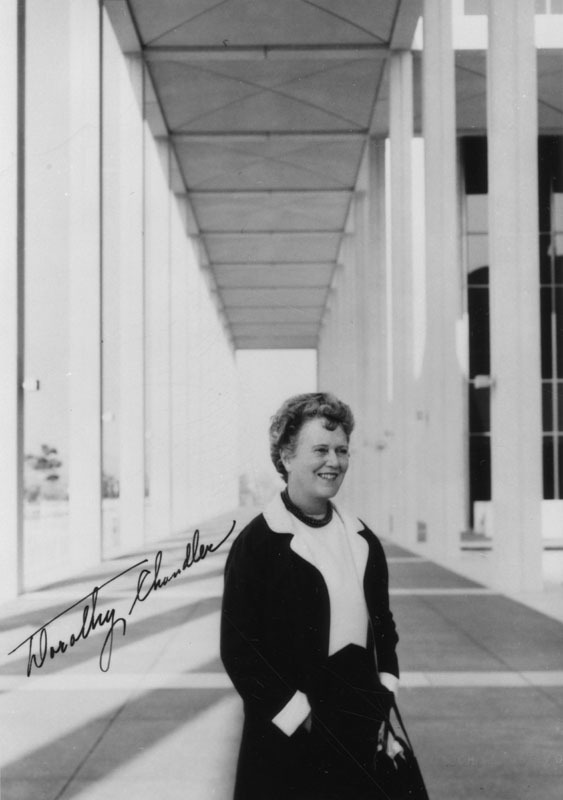 Besides raising millions for the arts, Dorothy also worked at the Times and influenced the paper to cover women’s issues and celebrate women’s real accomplishments. “I felt [after World War II] that the role of a woman had changed,” she recalled, “and that instead of being just society, bridge-playing clubwomen that they had a potential within themselves to do creative things.” She died in 1997, creating to the end. In the 1790s, Jose Vicente Feliz, a former soldier who had led the earliest Spanish settlers into the new pueblo of Los Angeles—and who later served as de facto mayor of the tiny town—was granted 6,677 acres of rancho land for his services. Known as Rancho Los Feliz, his estate, with its “inexhaustible supplies of lumber, water and game,” would be passed down to his heirs for decades. Along the way, the prominent Feliz family would generate its share of scandals (the 1836 murder of Domingo Feliz at the hands of his wife and her lover) and legends (the ghost of Petranilla, the cheated Feliz Rancho heir). Today, the entire area of Los Feliz and Griffith Park—once rancho land—is said to be cursed on account of Petranilla’s oath of revenge, so next time you’re hiking on a lovely Saturday afternoon, beware! Feminist activist, suffragette, the first “Lady Lawyer” admitted to the bar in California, a pioneer in the field of public defense, a newspaper publisher, a single mom of five, a failed gubernatorial candidate, and the first female deputy D.A. 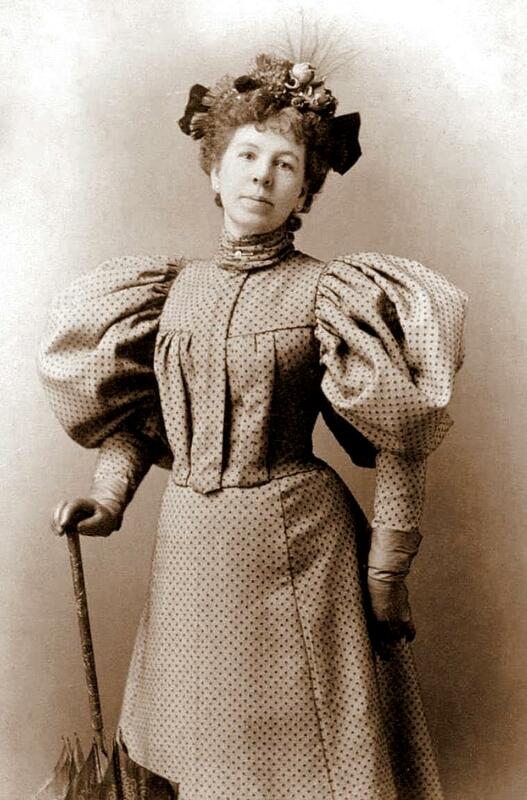 in L.A.—Shortridge Foltz packed a lot of good deeds into her long life (1849-1934). She lobbied to change the law of the state so that women could be admitted to practice law in California. Isaac Newton Van Nuys was born in 1836. The son of Dutch famers in upstate New York, by 1867 he was running a general store a world away in Napa County, California. It was here he met his future father-in-law, Isaac Lankershim. Together, the two men bought 59,500 acres of the San Fernando Valley and began to raise sheep and plant wheat on their new mega-ranch. They were soon fabulously wealthy and became leading figures in boom-time L.A. Extremely energetic, Van Nuys also became a builder (of what we now know as the Barclay Hotel in downtown L.A.), and a bank vice president (of Farmers and Merchants Bank). He died in 1912. 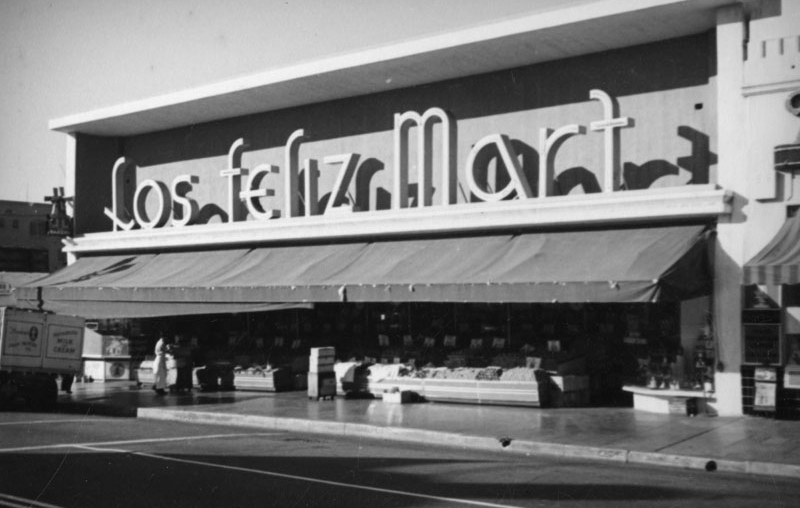 Four years before his death, the Van Nuys family sold its Valley fiefdom to developers for a whopping $2.5 million dollars. “A curious mix of soft-hearted generosity and stubborn determination,” Sybil Brand spent decades advocating for the human dignity of incarcerated men and women. Born into privilege in 1899, she married Harry Brand, a 20th Century Fox executive, in 1933. Always charitable, she was named to the Public Welfare Commission in 1945. She spearheaded the construction of a women’s jail—the Sybil Brand Institute—and spent decades as chairwoman of the Sybil Brand Commission for Institutional Inspections, which oversees conditions in L.A. jails. “My mother always said if I can do one good deed a day, life is worth living,” she once said. Brand died in 2004, after a century of good deeds and giving. 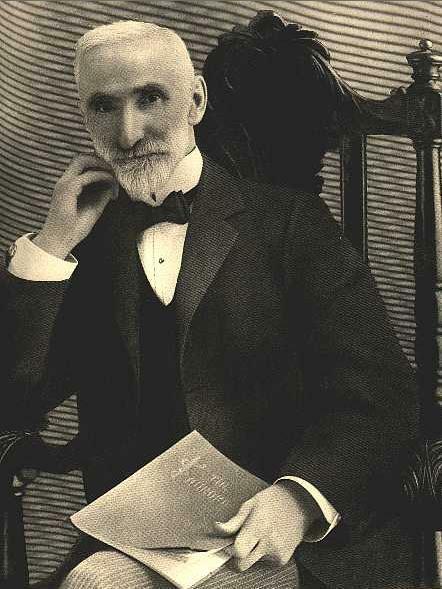 Known as the man who in 1896 donated Griffith Park (the former Rancho Los Feliz) to the city, and as the patron of the Griffith Observatory years later, Griffith J. Griffith should really be remembered for something else entirely. This bombastic, brazen, beyond wealthy Welshman was convicted for the attempted murder of his wife, Christina. In 1903, he shot her in the face in their suite at the Arcadia Hotel, in Santa Monica. Miraculously, Christina survived, after throwing herself from a second-floor window, and went on to bravely testify against her influential husband at trial. Griffith served less than two years for the crime, a testament to what a powerful man can get away with in the city of Angels.